Stunning new development of only 48 apartments that will be completed middle of 2018 next to the La Noria Golf Course in La Cala de Mijas. 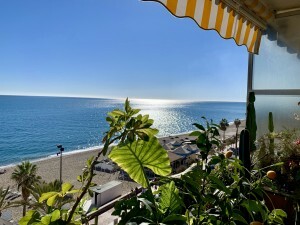 Excellent location with walking distance to the town and the beach where you can find plenty of shops, bars and restaurants. There will be 2 and 3 bedroom apartments and penthouses. All these luxury apartments are built in a modern style and to the highest standard with built in hot/cold air condition, built in wardrobes, fully fitted kitchen, hardwood floor plus storage and parking included. The terraces are spacious and offer views over the La Noria Golf Course, the beach or the mountains. This complex is surrounded by beautiful, manicured gardens and community pools with nighttime illumination and there is a multipurpose room available for the residents.